CNK are finally back with their long awaited second coming. Pretty soon after he left French black metal act ANOREXIA NERVOSA, badass front man Hreidmarr was quick to rerun The CNK war machine. 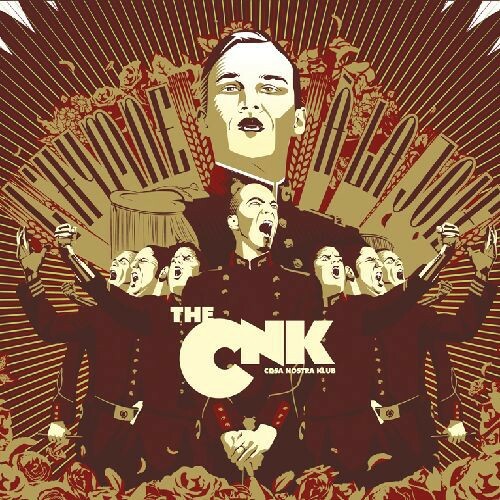 The CNK are here to grind, raze, crush, and piss you off with an incredibly heavy opus of Wagner-like and anti-politically correct Electro-Metal. “L’Hymne à la Joie” is produced by Stefan Bayle (ANOREXIA NERVOSA), and sounds like Carl Orff drinking Martini with RAMMSTEIN and ALEC EMPIRE, sitting together on a heap of human corpses, rambling on the death of our modern world. Get in the Klub!